A few days after reports emerged that Google is going to kill Hangouts chat app, which has millions of users, the company is trying to clear the air about what it is doing to all those gazillion chat apps it has. But the blog post from Google's Matt Kleiner, who is vice president of consumer communications products, only adds to the confusion. He says that Hangouts is not going to be killed, at least not for all, but Allo is definitely dying. The life of Google Allo, which was launched in 2016 to take on WhatsApp, will end in March 2019. For the last six years, after killing the GTalk, Google is trying to take on WhatsApp. But so far it seems the company hasn't figured out what exactly it wants to do with its messaging app strategy. the replacement for the GTalk was Hangouts, which it seems is also going away now by the end of 2019. 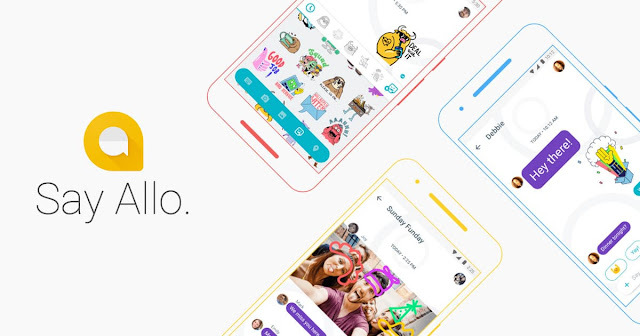 But Google then side-lined Hangouts and launched Allo for messages and Duo for video chats in 2019. now, Allo is going away soon, but according to the development of Duo will continue. Instead of Allo, the new darling app for Google now is Messages, which it wants to build as one-stop chat and messaging solution for phone users. Messages, for now, and for most people, is the default SMS app in many Android apps, and particularly so in Google's own Pixel phones. "Earlier this year we paused investment in Allo and brought some of its most-loved features -- like Smart Reply, GIFs and desktop support -- into Messages. Given Messages' continued momentum, we've decided to stop supporting Allo to focus on Messages," Klainer wrote on Thursday. "Allo will continue to work through March 2019." And after that, it will be gone. Incidentally, changes are also afoot as far as Hangouts is concerned, but Google denies that it is going away. However, the sense here is that Google is carefully using the words that are letting it deny the coming demise of Hangouts, but Hangouts users will definitely find the app changed significantly by the end of the year. The Google plan it seems is to kill the current version of Hangouts and fold its features into two new apps called Hangouts Chat and Hangouts Meet. However, currently, it is not clear if all Hangouts users -- and many of them are regular users who just have a Google account and aren't part of G Suite base -- will get access to the Hangouts Chat and Meet or if it will be restricted to G Suite users.